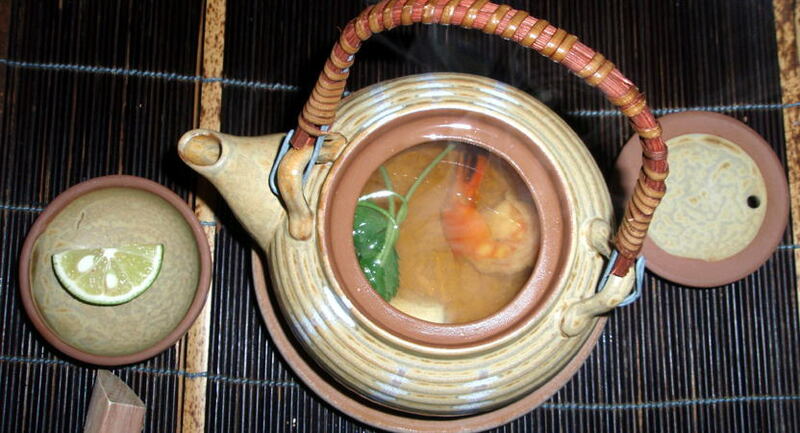 "Chawan-mushi": steamed-rice-bowl containing shrimp, mushrooms, vegetables, etc. 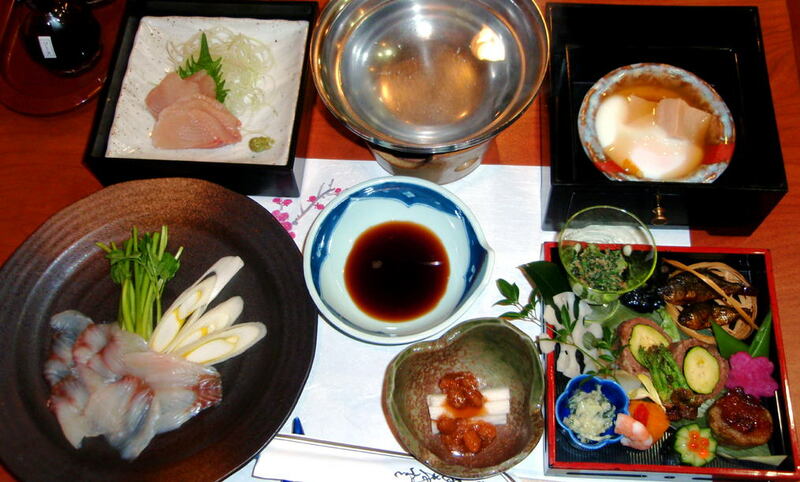 Photographed at "Aburi-bo"Japanese restaurant, "Mansuirou"Ryokan (Japanese-style hotel). 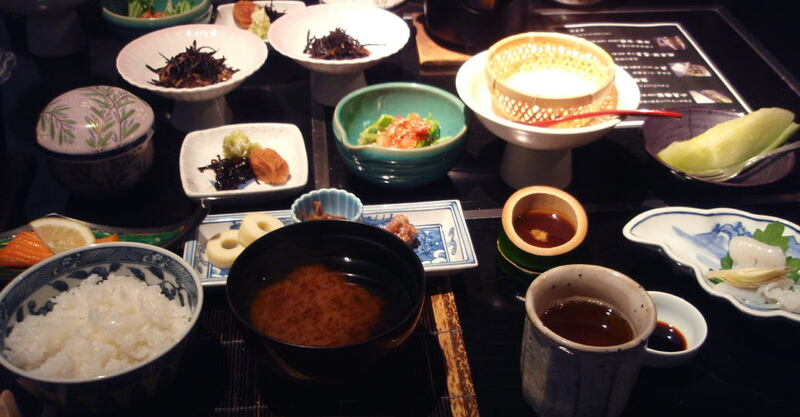 "Kochi and *River Shimanto Omnibus"
Photographed at "Hotel Niseko Ashiri" (Japanese-style Spa hotel). 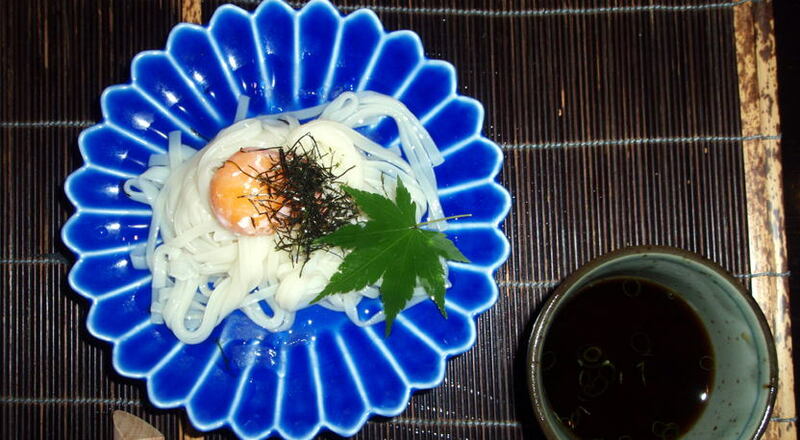 Photographed at "Maruishi Ryokan (Japanese-style Spa-inn)"
Photographed at "Oyado Hisaya (Japanese-style Spa-inn)"
"Soba" is one of the traditional Japanese noodle made of "Buckwheat"
Photographed at "Daimon Sobaten "located along "Ohtemae-dori"st., Izushi-cho, Toyooka city, Hyogo pref. 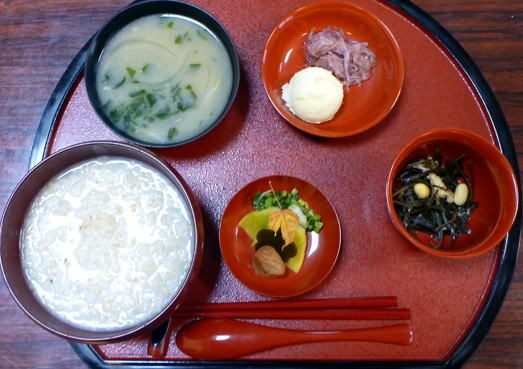 Remarks: The most famous Soba-area is Nagano pref. 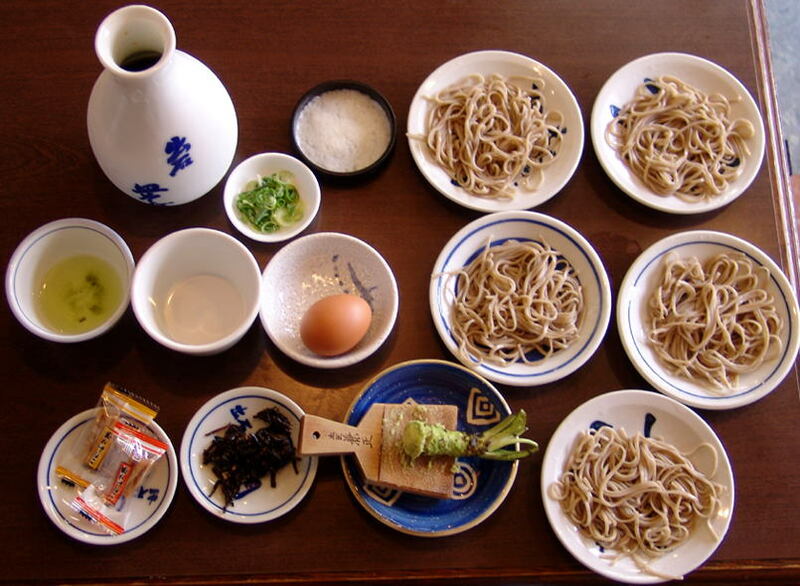 as known "Shinshu Soba"
So-called "Shojin-ryori"is almost made from soybeans, for example "Miso-soup," "Tohu,"and "Natto." 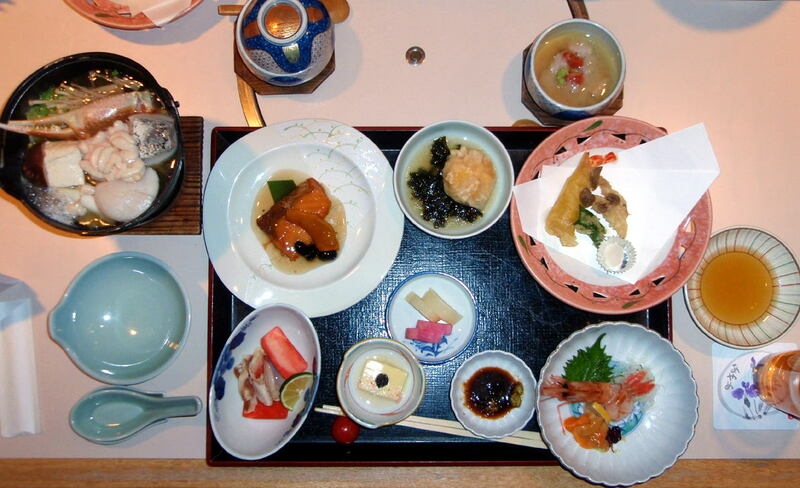 to have only "Shojin-ryori" those days. 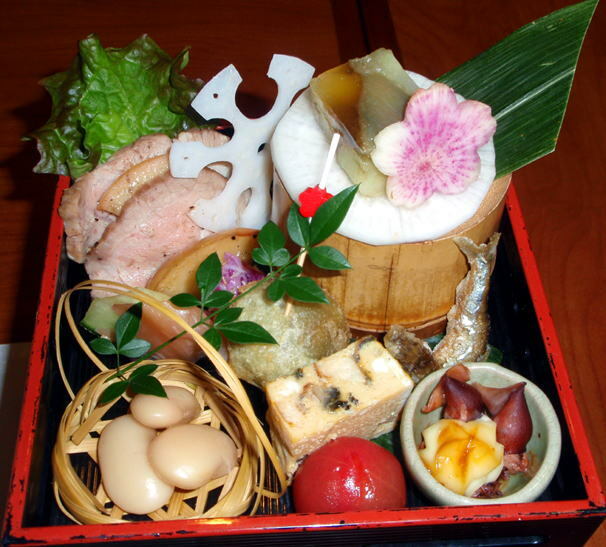 Now we can eat them at some buddhist temples all over Japan. 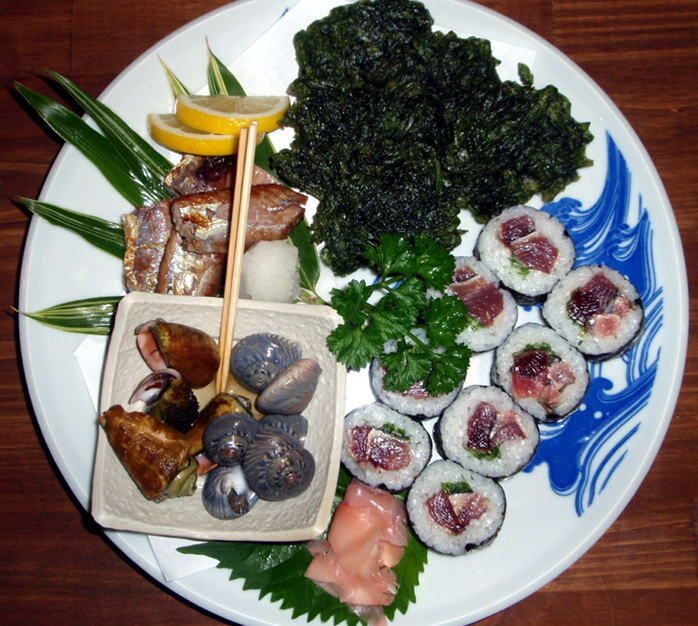 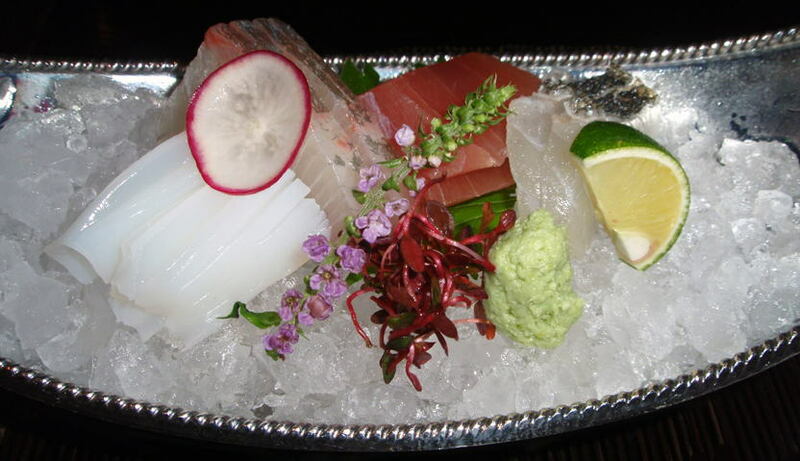 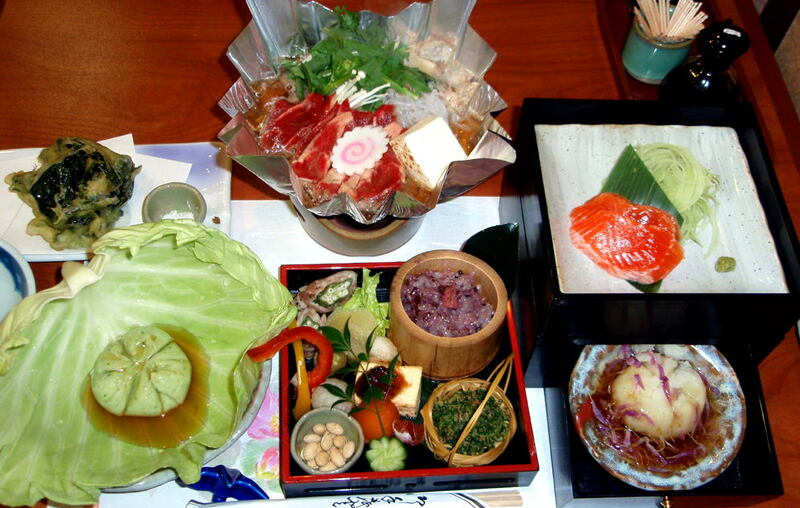 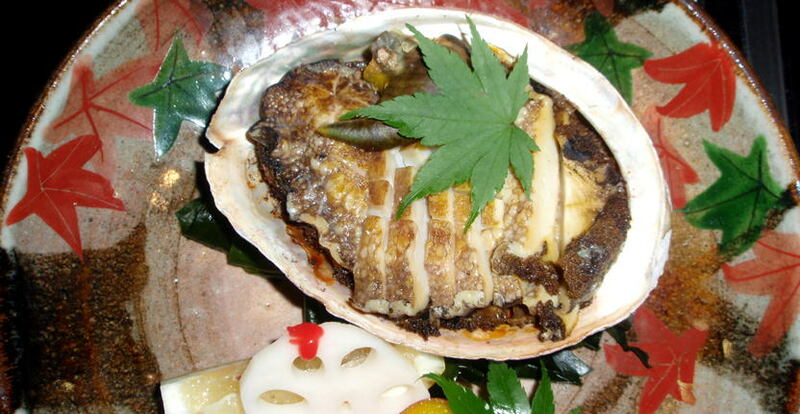 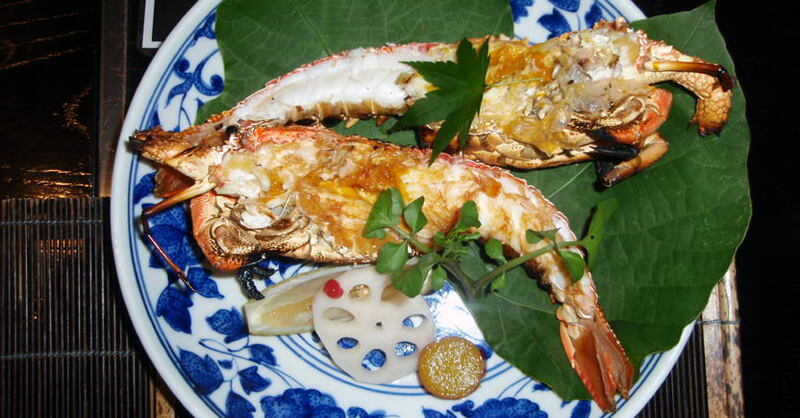 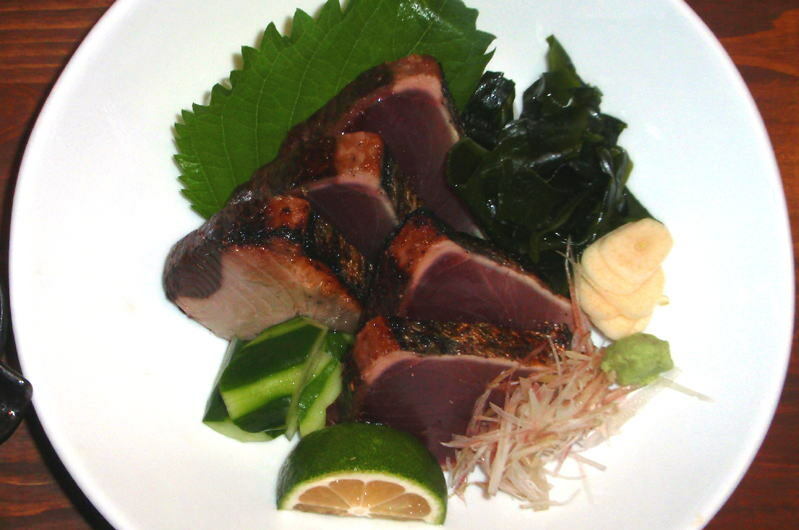 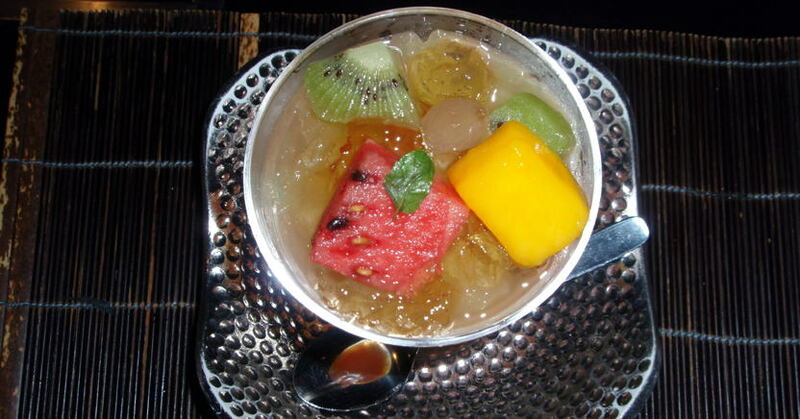 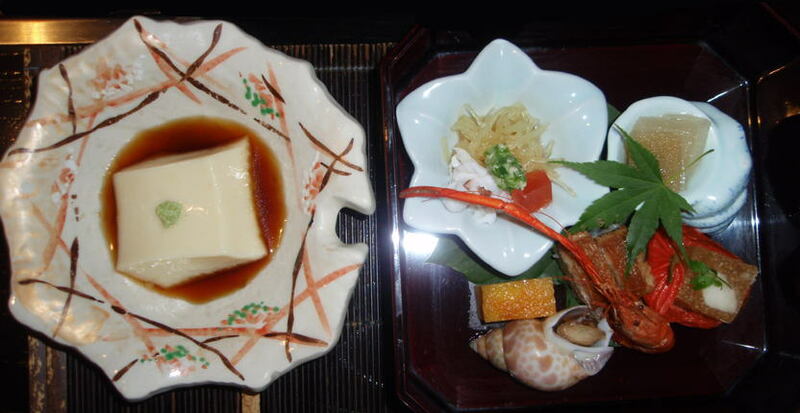 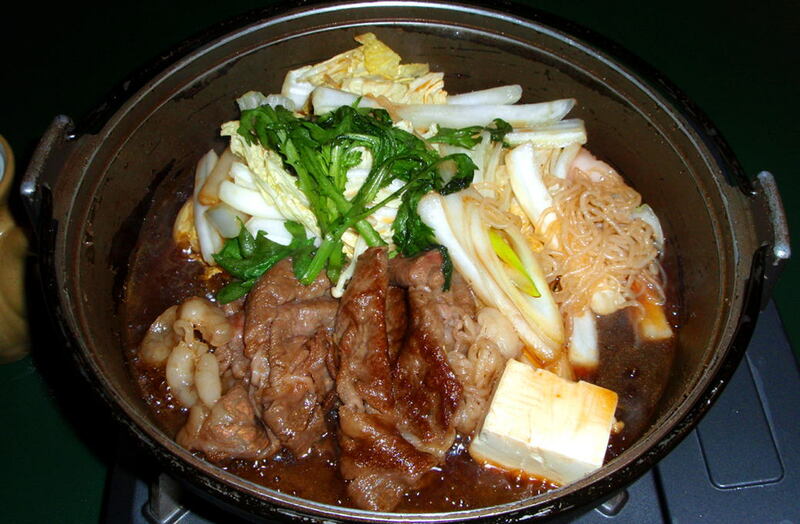 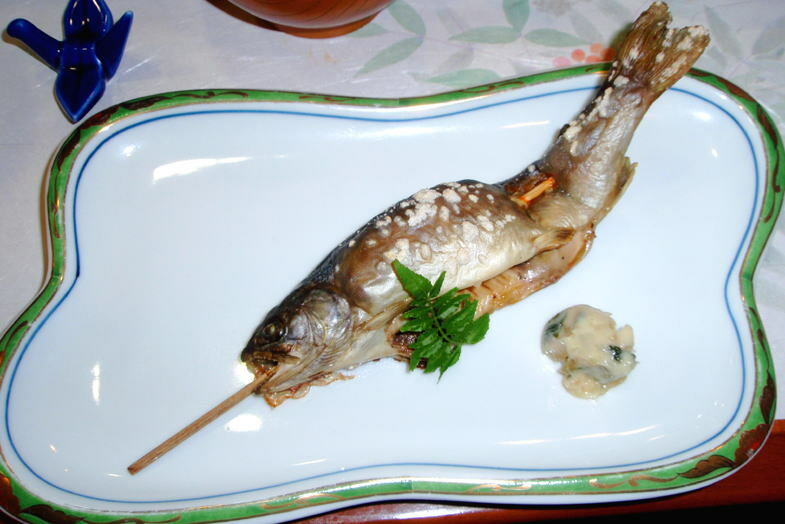 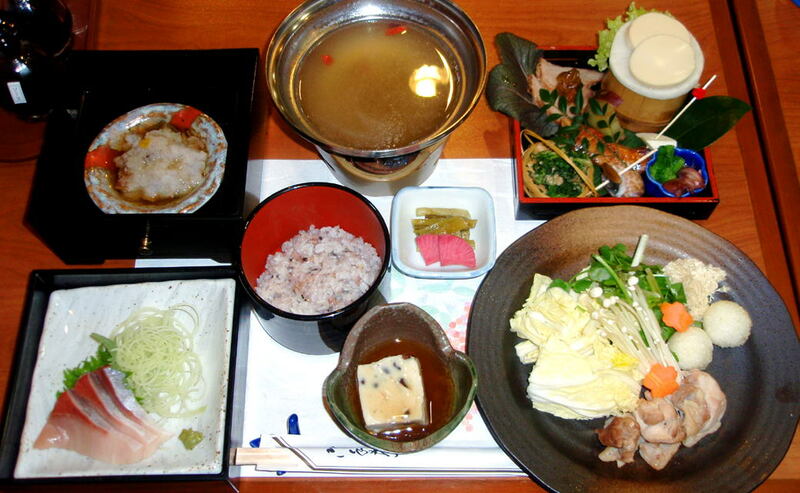 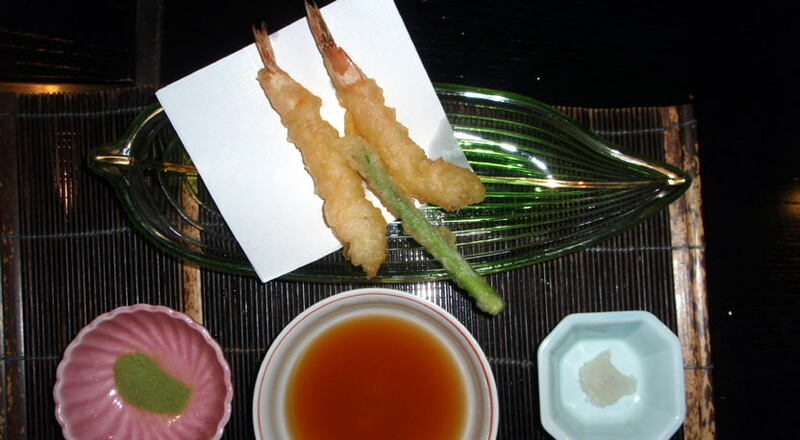 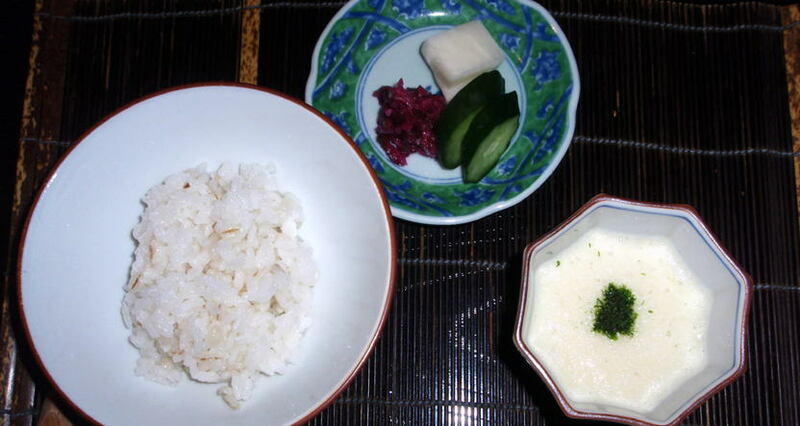 "Shojin-ryori"is well known as diet and healthy foods in Japan. 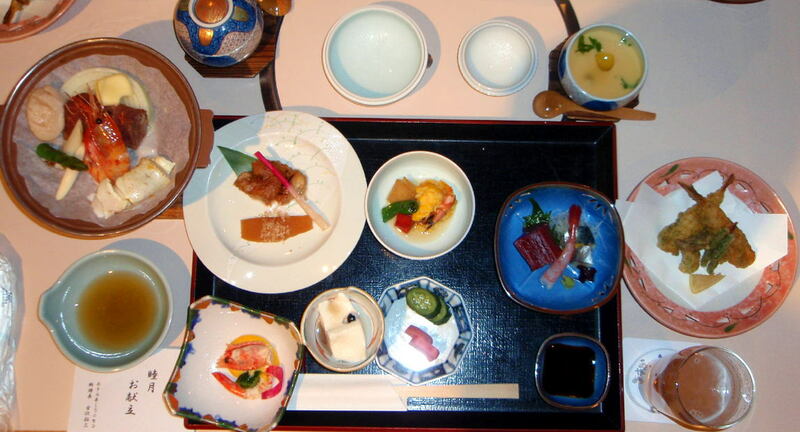 Photographed at Fukuchiin temple in Koyasan Buddhist area, UNESCO's World-heritage area.